Puppies and Exercise – Should You Exercise Your Young German Shepherd Puppy? A mistaken belief of many owners of our breed is that a young puppy (up to 12 months of age) should have “plenty” of exercise. 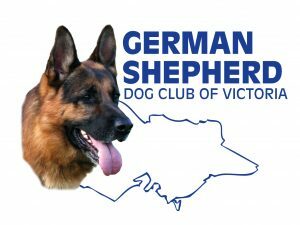 As the German Shepherd is such a fast growing breed (compared to some other working breeds) the opposite is actually more correct. The strain of over exercise on the skeletal make up of a youngster is often irreversible. The stretching of ligaments at too early an age, the strain on young growing joints, or the carrying of too much weight on the overall framework can and will do harm to the young puppy, and lead to problems in adulthood. Consider a young Shepherd in comparison to a 3 – 4 year old human child – certainly not ready to run a marathon (even though the spirit may be willing!) but with growth and maturity, that time could come. As a general rule of thumb and guideline for novice owners, “on lead” exercise should be very limited until final growth and height is achieved at approximately twelve months of age (when both hips and elbows can be x-rayed through the G.S.D.C.A. scheme). At that time, and hopefully having gained the ‘A’ & ‘Z’ the young dog is then ready to commence more prolonged exercise. Should there be any chance that there is already some problem with wear on the joints of the hips and elbows, further advice would be sought as to appropriate exercise. Then, and only then, should you build the dog up to the desired level of fitness you require for whichever field you have chosen – be it show dog, trialing, agility or family companion with the adult animal – complete in growth. Until then, it should be “careful and slow”. Up to twelve months of age, natural free running is the best form of exercise for a youngster, for a young pup, upon tiring, can easily stop when they wish, and not keep on performing because they wish to please and keep up with you! Of course you will wish to lead train and socialise your puppy, but exercise on lead should be no more than that. Maximum time walking (the dog at a fast trot) of a puppy up to six months of age should be barely five minutes at one instance (equivalent to a short stroll around your local block or park) and then rest. Puppies need plenty of rest and sleep, just like a young toddler. Certainly they can play and romp in your back yard or in their kennel run, but they will stop when they feel tired, rest and then play again. Over six months – training on lead could extend to ten minutes if you wish, but again, moderation is the best guide, and if a puppy shows an inclination to tire, then stop! Moderation and common sense are the guidelines. Allow your puppy to grow steadily and slowly, and the fun of having a companion with which you can run your kilometres (upon adulthood of the dog) will not be impaired by the damage you may do,by doing too much, too soon. Enjoy your puppy’s first twelve months as a friend, and savour a lifetime with a fit and healthy adult.